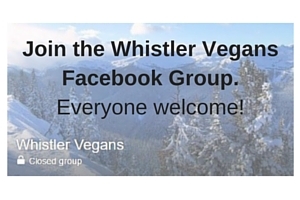 Hands down the best place for vegan food in the valley in Whistler is The Green Moustache Juice and Live Food Bar (with Raven’s Nest taking top spot up on the mountain). And now there are TWO locations in Whistler! Not only is it 100% vegetarian, it’s also all organic, sourced as locally as possible and made with love! In addition to that, they minimize their use of packaging and only have compostable take-out containers. 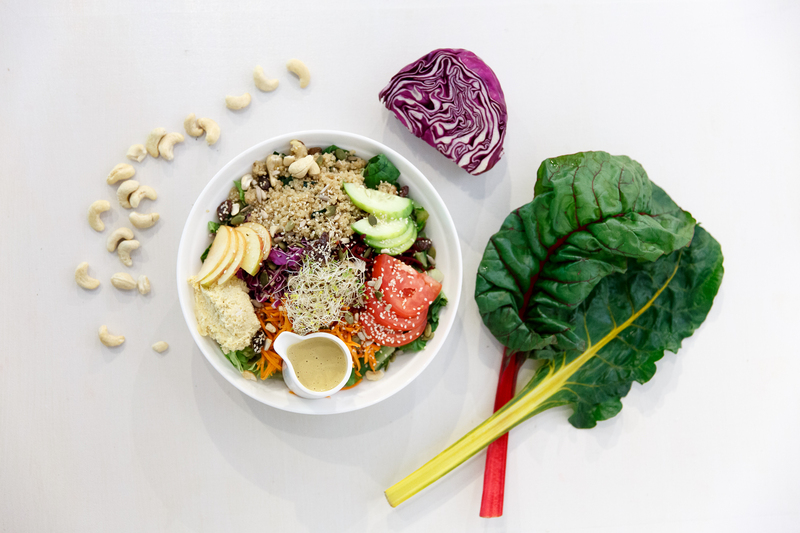 The Green Moustache offers a range of delicious and nutrient-rich juices and smoothies, as well as breakfast bowls, and main meals including Superfood Salad, Buddha Bowl, Raw Vegan Chili, Collard Wraps, Kitchari and a daily soup special. Desserts include raw vegan cheesecake, chocolate brownie, macaroons and raw chocolate. The house dressing for the salads, Buddha bowl and collard wraps has become famous in Whistler, with many people asking The Green Moustache to bottle and sell it because it’s just that good! The staff are super friendly and passionate about plant-based foods and health. The atmosphere is really warm and inviting and you feel just like you’re having lunch in your mum’s kitchen. The Green Moustache is a must visit on your trip to Whistler! There are two locations – one in Marketplace near the Olympic Plaza just behind Starbucks and another in Function Junction.